How to Get Better at Playing Rummy Cards? Rummy is a game of skills and you can get better at it with some efforts. You need to understand the goals and rules of the game, try to put those into practice and see how you are faring. This will give an idea where you need to improve. You may then work on those aspects and see if there is improvement. Here are some simple tips to help you understand how to get better at playing rummy cards game. 13 cards are distributed to each player in an Indian rummy session. The dealer first allows the player before him to pull out a joker before distributing. After the playing cards are distributed, top card from the remaining deck is left as open card. Each player has to make one natural sequence without the use of joker and one real sequence that may use a joker. The remaining two maybe sets or sequences as per the player’s choice. As a learner of the rummy game, you may have many queries or questions popping up in your mind. Do not hesitate to ask these questions and queries. It is always better to clear your doubts or queries from the very start. This will help you be clear about the rules and strategies of the game. You can ask the friends who teach you the game your queries. If you are learning from an online site, ask your queries on the chat window there. You cannot learn a game thoroughly unless you practice it multiple times. Each time friends in your rummy circles gather, you can play the game and make sure you have understood how to play rummy correctly. This will help you be quick at the game and play rummy effectively. A good rummy player is the result of continuous practice. Playing the game with the same players does not help you gain much. That is why you must try and play rummy patti game with new players each time. This will help you learn new techniques of the game. A good observer will learn more by playing with strangers. You can play with strangers in your rummy club or even play online. Once you have mastered the art of playing rummy, you need to test your skills. It is not enough that you are satisfied with your gaming skills. You should be able to prove them too. That is why it is necessary to challenge your gaming skills and abilities once in a while. This can be done by being a part of a few rummy tournaments and games. Rummy sessions online and offline have many challenging rounds. The ultimate winner of such tournaments is the one who knows to play rummy online for cash or just for fun. 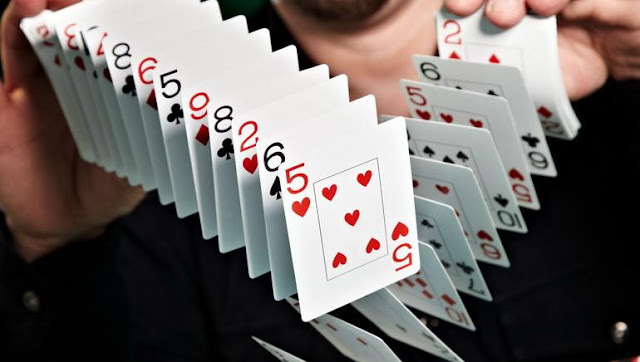 This means that if you win a few rummy tournaments, you can be called an expert in the game. You need to put in effort to learn the game well and reach this level of expertise.